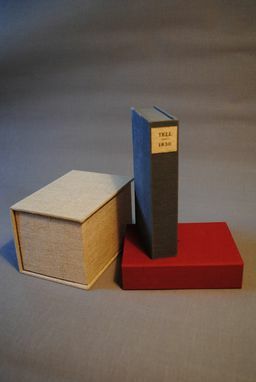 These are drop spine boxes or Solander boxes. 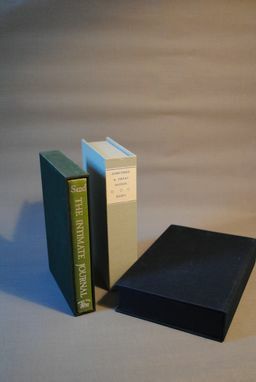 The boxes are made to fit each individual book and the price is dependent on the size of the book and the materials. 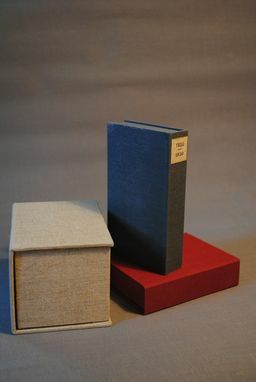 These boxes can be made of cloth or leather or a combination of the two. They can also be made to look like a book, so cloth and paper or leather and paper, with corners or plain. 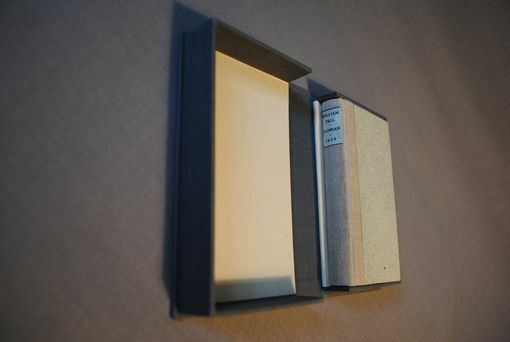 The interior of the box can be lined with paper, suede, or any type of endsheet material. Drawers and spacers can be added to the box to accommodate additional "non book" materials.